Lakers forward Kyle Kuzma doesn’t often smile about missing a shot. 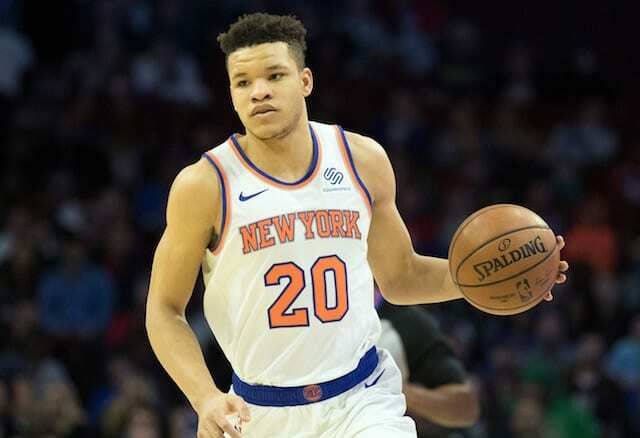 The cut-throat competitiveness that allowed him to use basketball as his path out of the hard streets of Flint, Michigan, surpass all predraft expectations and become one of the most promising members of the Lakers’ young core, are the same reason the rookie usually isn’t happy to lose. 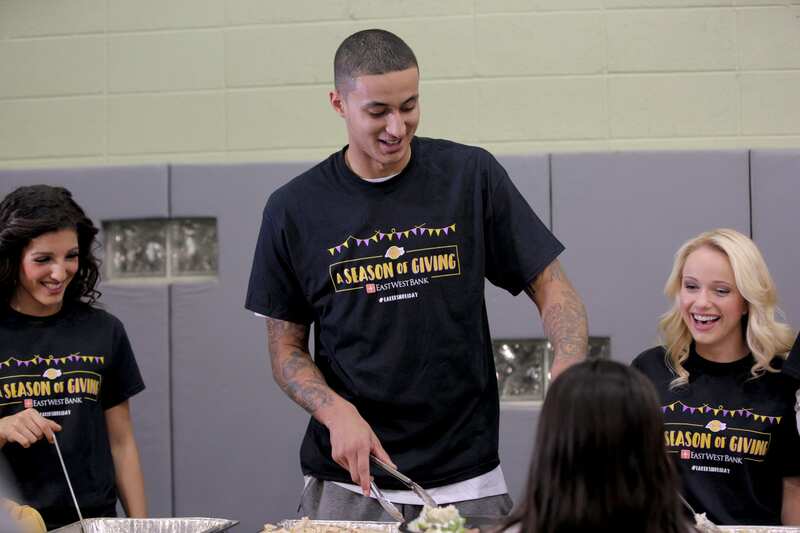 On Thursday night at the team’s annual “A Season of Giving” charity event, however, Kuzma was still able to smile in defeat, because he had helped not just the child named Adrian who beat him in the shooting contest to win a Lakers basketball signed by the whole roster, but his mere presence had helped the more than 200 kids in attendance have an early Thanksgiving they’ll never forget. As Kuzma heaped slices of turkey or ham from Lucille’s BBQ onto the outstretched plates of the children who passed his station, he knew he was serving them more than just food. He was offering them an experience he never had as a child: Interacting with a real-life NBA player. Kuzma and teammate Brandon Ingram happily posed for selfies with the kids as they passed them, an unforgettable moment for 14-year-old high school freshman Jasmine Martinez after she nervously asked if she could take a photo with Ingram. “He was just like ‘yeah, sure why not?’ And just him telling me… It was just so cool hearing him talk to me,” Martinez said, beaming. The selfie wasn’t enough to vault Ingram past Lonzo Ball as Martinez’s favorite player, but the self-professed “big” Lakers fan became more aware of why Los Angeles has such a deep, relationship with the team that traces back to more than just the 16 titles and unforgettable moments they’ve brought to the city. Ingram made it clear he got just as much out of selfies like Martinez’s as she did. 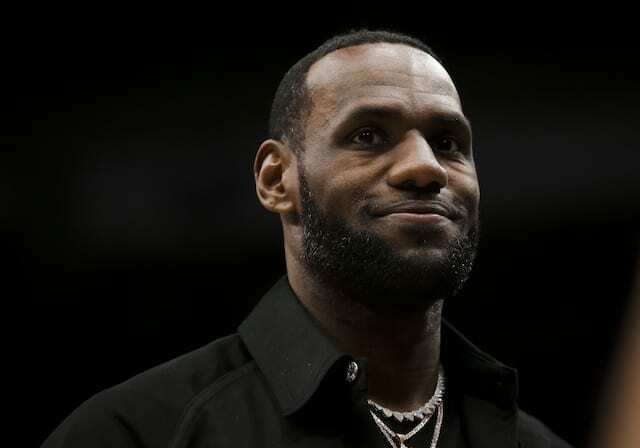 That type of attitude is exactly what Tony Brown, the CEO of Heart of Los Angeles, who partnered with the Lakers and East West Bank to put on the event, was hoping the kids in his program would get out of the event. Brown said some of the children were chosen to participate because of their academic achievements, while others were selected because they could use “a little extra special something this Thanksgiving.” As he looked out upon the tables of children chowing down on catering served to them by Lakers, he was happy they all got the extra boost he and the organaztion hoped to offer. “You see a lot of smiling faces, you see a lot of hope, and I think that’s something that’s been missing. 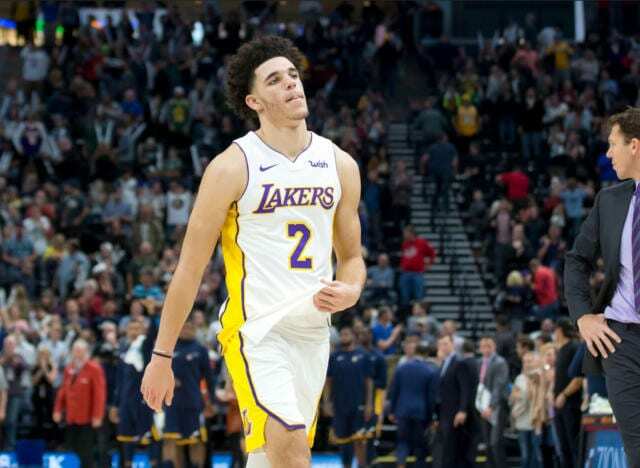 This past year and a half has been a crazy year for our country, so to see Kyle Kuzma and Brandon Ingram walk into the gym, it puts a smile on your face right away,” Brown said. Kuzma, who said he was thankful for “a great coach” and “a great team,” as well as his family coming to visit him, was just happy to see the joy his new standing as a Laker could provide.